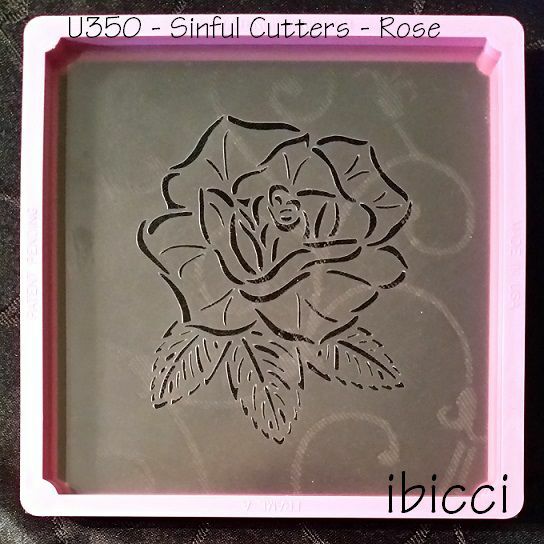 I loved this cutter as soon as I saw it, and knew I would make a stencil to go with it. 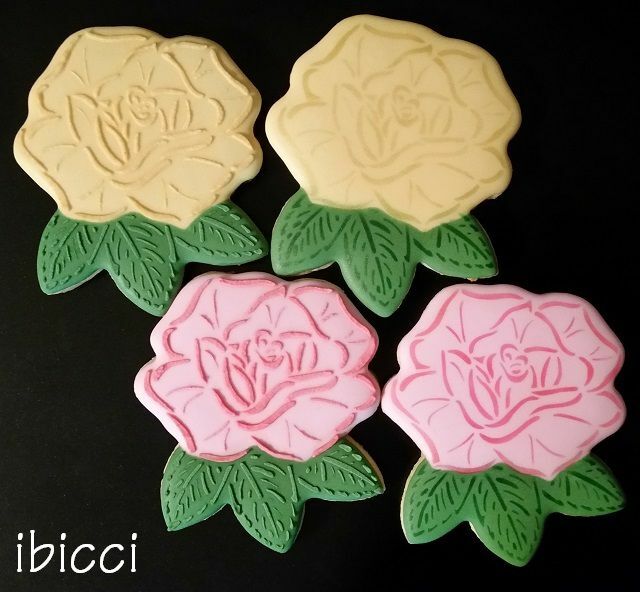 Designed to match the Sinful Cutters Rose cookie cutter which you can find here, it currently fits the 4" cookie only - other sizes will be added later. Stencil measures approximately 5.5" / 14cm square and fits the Stencil Genie as shown. Ibicci stencils are made out of reusable, sturdy .007mil food safe plastic.